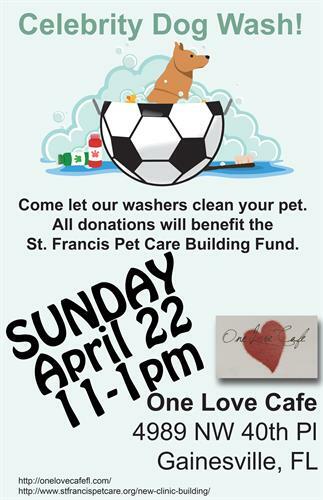 Sunday, April 22nd at One Love Café in Magnolia Park from 11am - 1pm. opening Fall 2018. For more info follow SFPC on Facebook and stfrancispetcare.org. Sunday, April 22nd, 11 a.m. - 1 p.m.